Location: Located within a private concession covering some 280,000 acres in the Chyulu Hills adjacent to the Tsavo West and Chyulu National Parks, with stunning views towards Kilimanjaro. 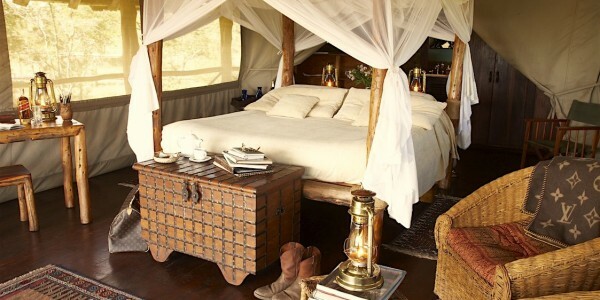 Rooms: 6 luxuriously furnished tented cottages and two larger suites, all built on wooden decks. 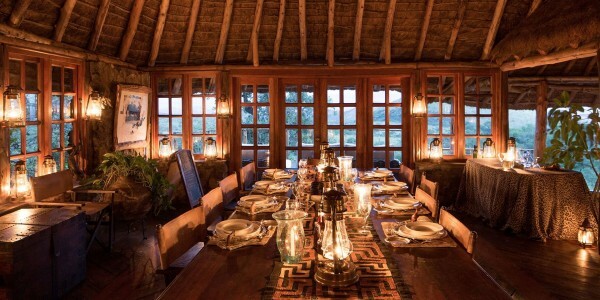 The rooms have been built from locally sourced materials including stone and wood, with tented walls under a thatched roof. 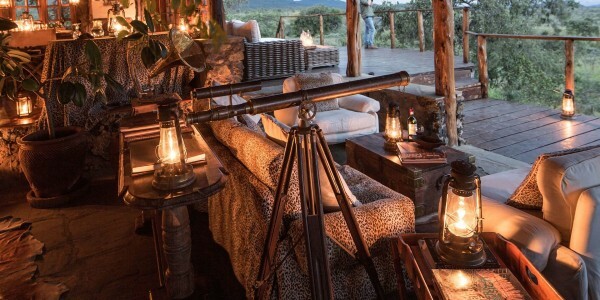 Private verandahs provide incredible views of Kilimanjaro, the Tsavo Hills, the Chyulu Hills and the lodge’s waterhole where zebras and giraffes often visit. Facilities: Private verandahs, custom-made Italian linens, 24-hour solar power. Activities: Campi ya Kanzi offers a private safari experience, tailor-made to fit your interests: game drives, bush walks, cloud forest walks, bush meals, horse riding & Masai cultural visits can all form part of your stay here. 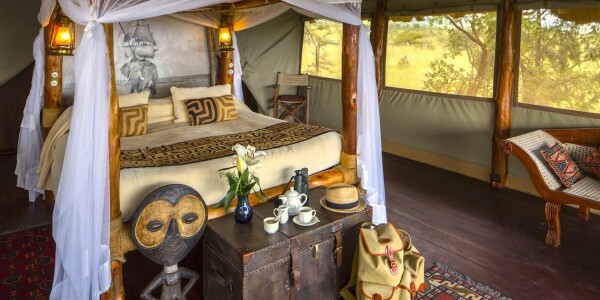 Optional game drives in Tsavo & Amboseli National Parks, as well as fly camping, are also possible. Our Opinion: Campi ya Kanzi is a small, privately owned and operated safari lodge located in the Chyulu Hills, part of an ecotourism joint venture between with the local Masai people. The Italian owners are passionate and enthusiastic hosts, entertaining at nightly candlelit dinners over fine Italian cuisine paired with wines from Antonella’s Italian vineyards which have been bottled specially for Campi ya Kanzi. All meals feature vegetables, eggs, and milk from the organic farm on site. Masai trackers provide hands-on lessons on how to read footprints and identify signs of the surrounding wildlife, including lion, leopard, buffalo, rhino, elephant, cheetah, hippo, gazelle, warthog, and many more animals, birds and reptiles. 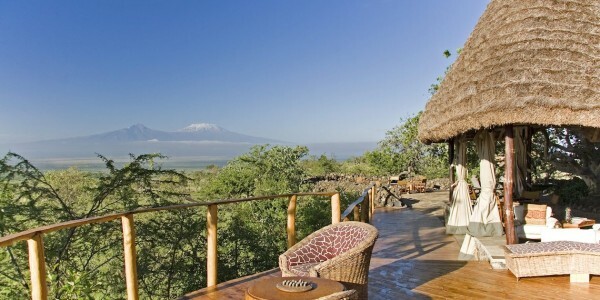 Take a longer day to hike into the uninhabited cloud forest of the Chyulu Hills, one of the most iconic landscapes known as the inspiration behind Ernest Hemingway’s penning of “The Snows of Kilimanjaro.” Spend a night in the fly camp, visit the orphan elephants in Ithumba, enjoy a Kilimanjaro scenic flight, or simply revel in a long night of Italian wine and stories by the fire.